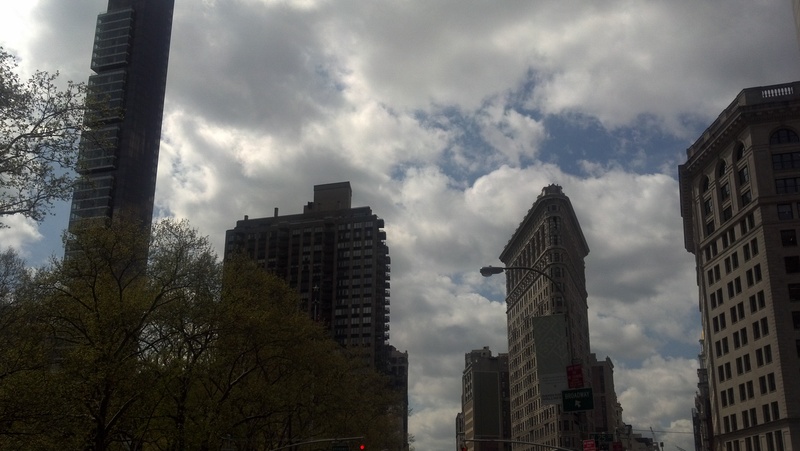 Space Shuttle Flying High Over NYC…. 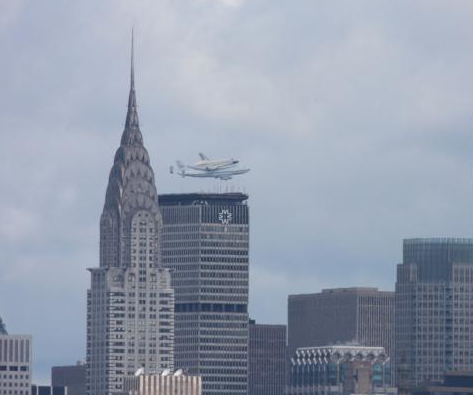 Today the Space Shuttle Enterprise could be seen flying high over NYC. 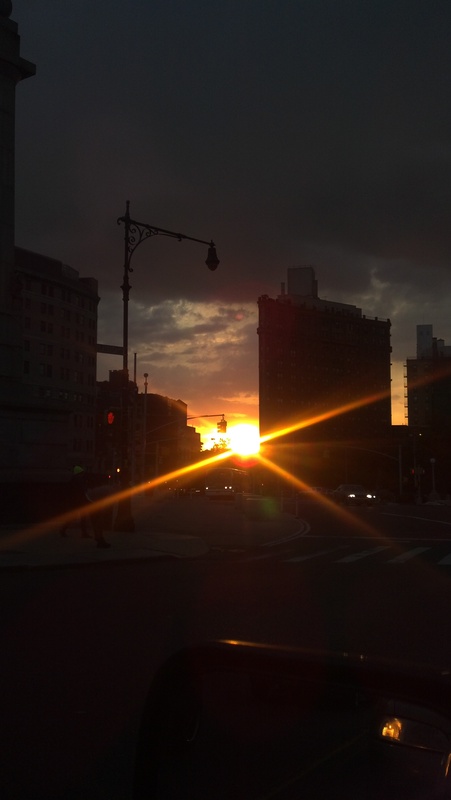 While driving home last night I could not resit stopping to take this amazing shot of the sun setting over Brooklyn, near Grand Army Plaza. 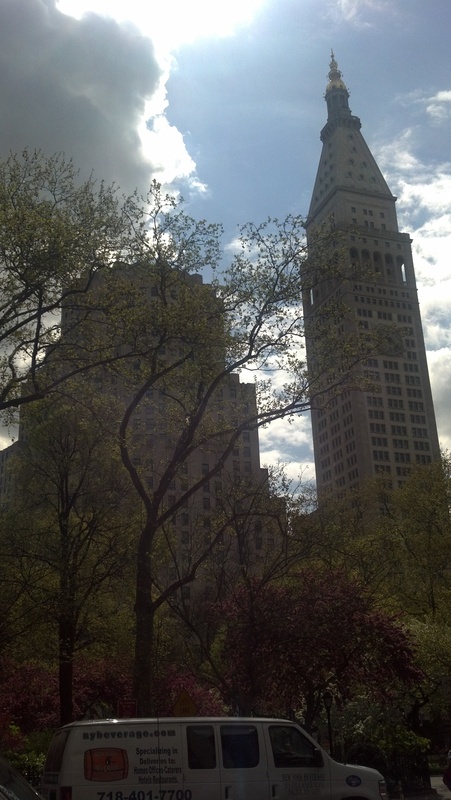 Later this month I will be revisiting Grand Army Plaza for a photo shoot…so stay tuned. 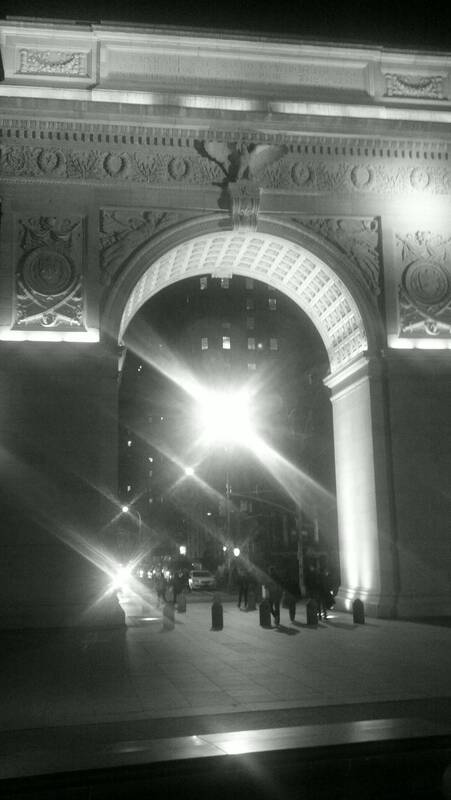 Washington Square park has come a long way. I remember back in the day when I use to hang out there with my buddies, we had to dodge rats and vagrants. Oh and needles. But today the park has and still is undergoing major renovations. You can truly see the difference. 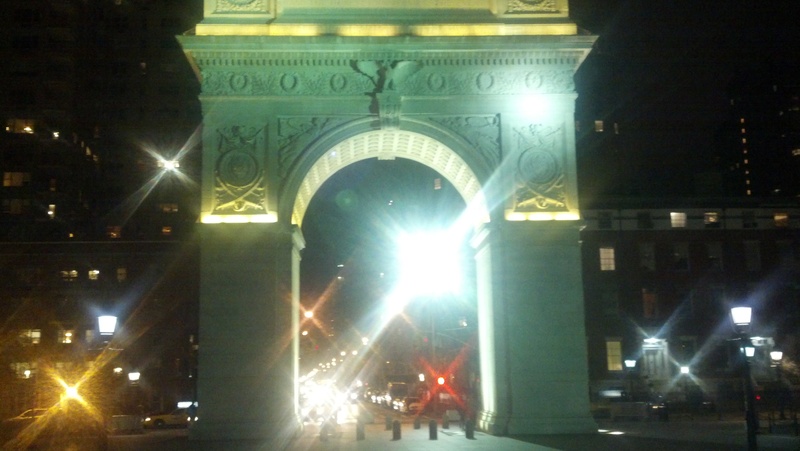 Before the Washington square was built in 1826, the area was used as a burial ground. The north side was a German cemetery, while the south side was a potter’s field (a nameless burial ground). The area was later used as a public gallows and execution ground. Between 1829 and 1833, a row of houses were built at the North side of the square. The prestigious houses, built of red Brick in Flemish bond in Greek revival style, became known as ‘The Row‘. The entrances are flanked by Ionic and Doric columns and have marble balustrades. By the end of the 19th century, the north side continued to attract rich and leading citizens, while the south side was populated with immigrants living in tenement houses. 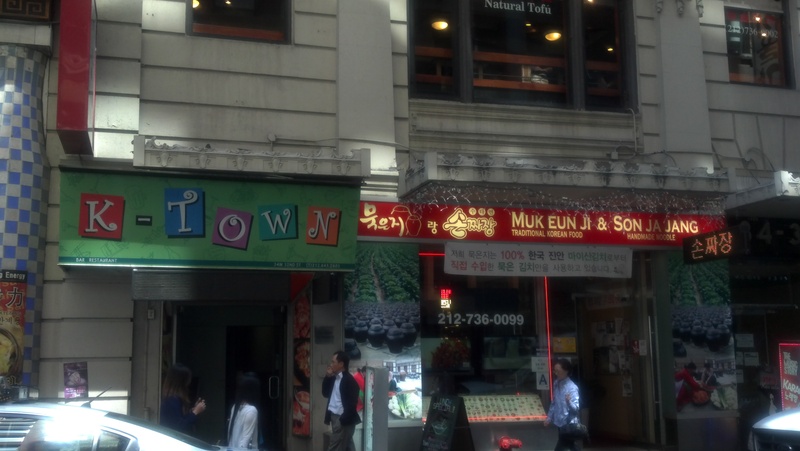 Passed through K-Town today on my lunch and took a few shots of all the different restaurants and karaoke spots I saw. Koreatown, or K-town as it is colloquially known, is a neighborhood in the New York City borough of Manhattan that is generally bordered by 31st and 36th Streets and Fifth Avenue and Sixth Avenues. 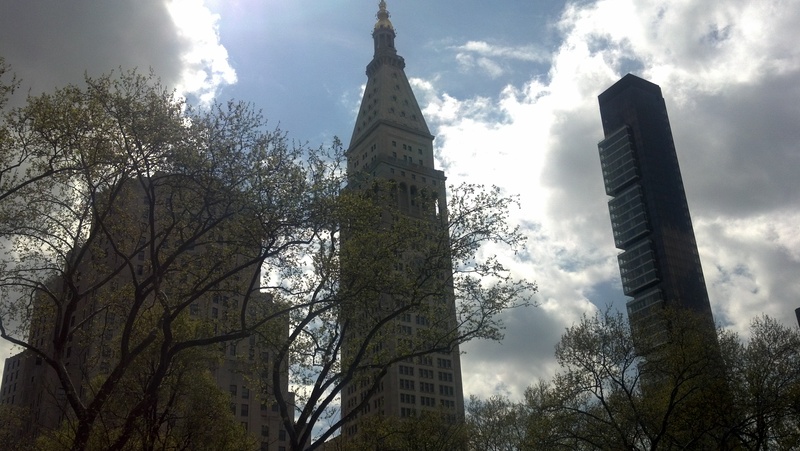 Its location in Midtown Manhattan is close to the Empire State Building and Macy’s at Herald Square. 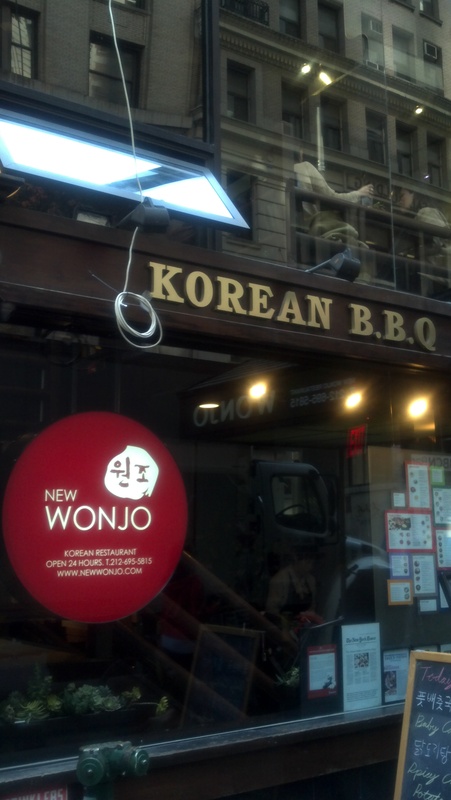 It all started with a bookstore and a couple of all-night restaurants that served New York’s burgeoning Korean population—who emigrated to this country in three distinct waves starting in the early 1900s—and who famously ran New York City’s market on late-night grocery stores and delis. 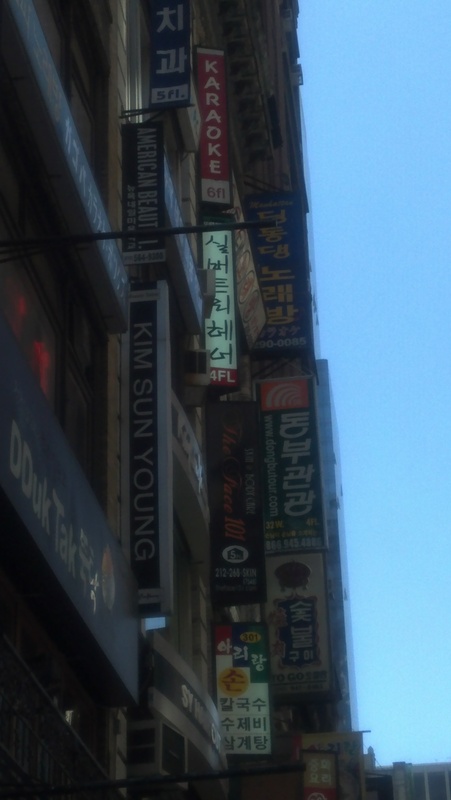 The heart of Koreatown is the segment of 32nd Street between Fifth Avenue and Broadway, is also officially nicknamed “Korea Way.” Though only one city block long, Korea Way features stores and restaurants on multiple stories, with small, independently-run establishments reaching up to the third or fourth floors. 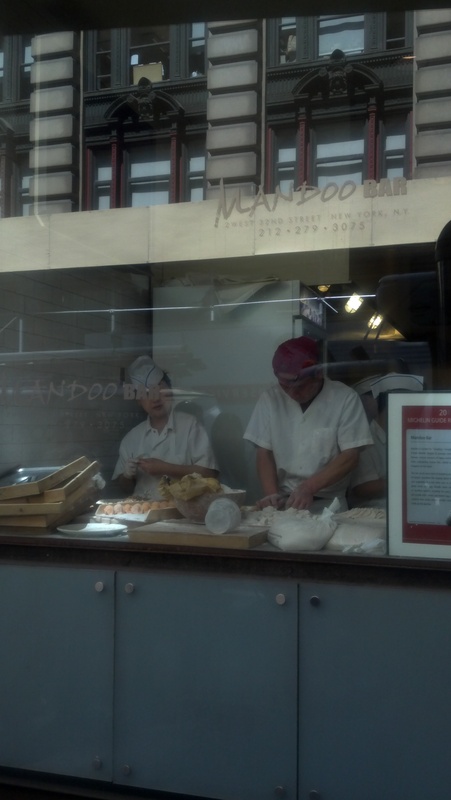 The New York City Korean Chamber of Commerce estimates there are more than 100 small businesses on Korea Way. It’s all about karaoke. But here there’s none of that bar business, where strangers have to suffer through your rendition of “The Rose.” K-town’s got real Asian karaoke—where a reasonable hourly rate gets you a room, a couch, a microphone, a flat-screen TV, a songbook in myriad languages, and, if you’re lucky, a battery-powered tambourine and the ability to BYOB. 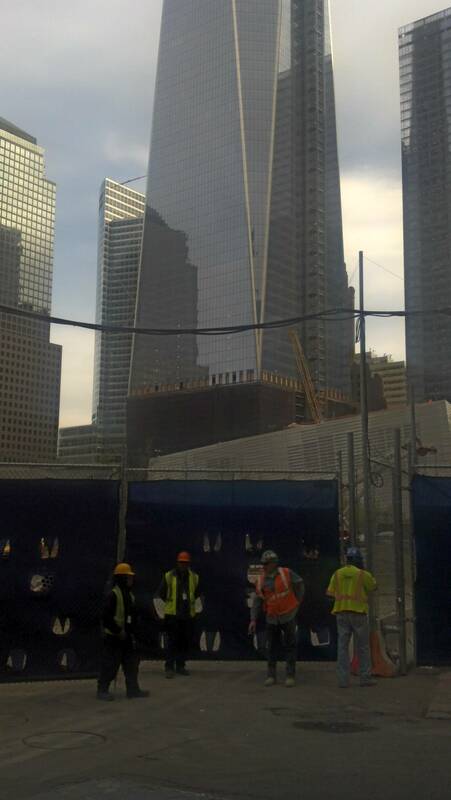 Major Construction Underway in Lower Manhattan…. 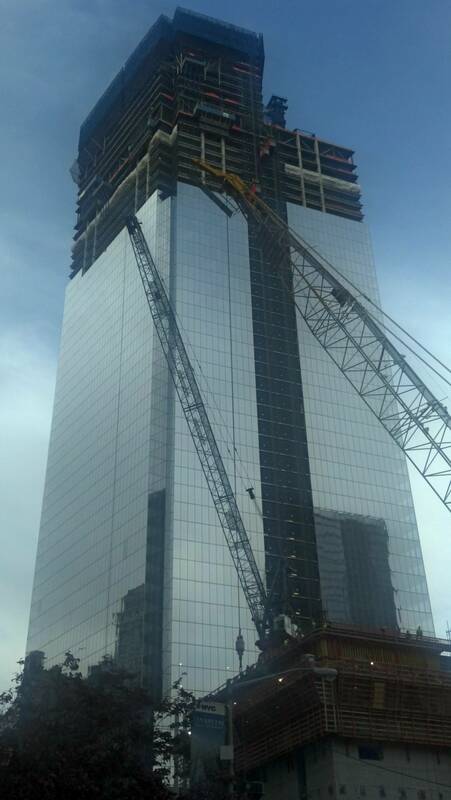 This morning I was in Lower Manhattan headed to a conference and decided to take a few minutes and snap a few shots of all construction and rebuilding going on down there. On almost every street I ran across some construction being done. 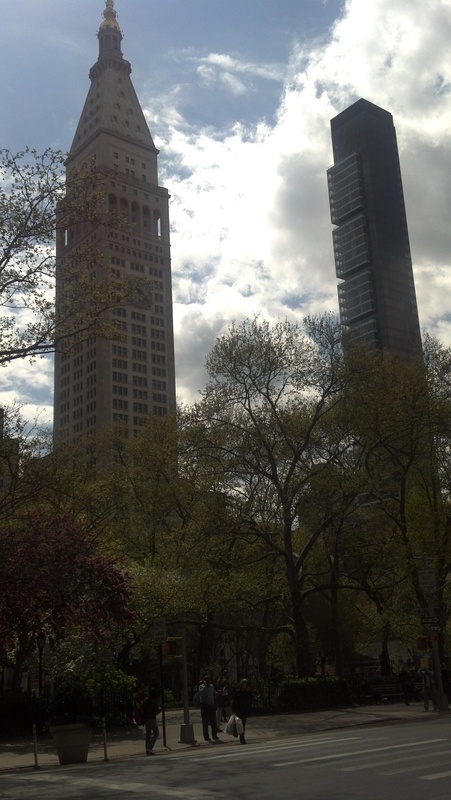 Of course the two main projects are The Freedom Towers and Fulton Street Transit Center. Both of these projects are moving along rather slowly if you ask me. And are well over budget. 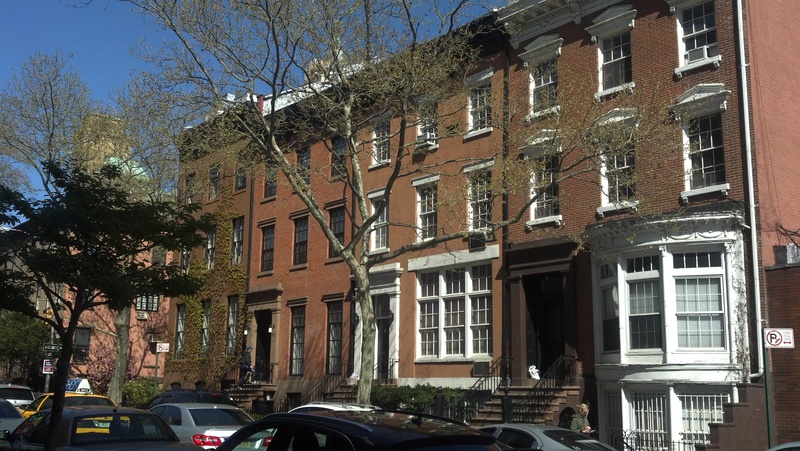 The other day I was passing through Brooklyn Heights and stopped to take a few pictures of the marvelous homes I saw there. Brooklyn Heights architecture is absolutely divine. Some of the homes here are well over a century old. Brooklyn Heights boasts the greatest views of lower Manhattan and brownstone mansions that rival anything on Fifth Avenue. 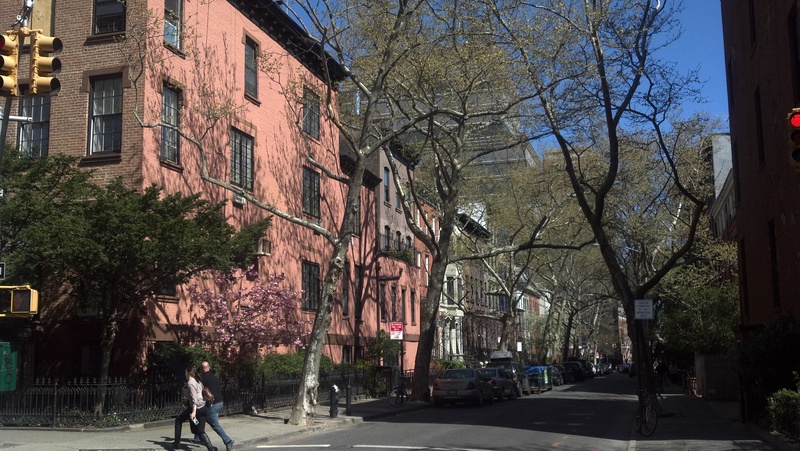 Considered to be the first suburb in America, the Brooklyn Heights of today is much more than a suburb. It has become one of the most desirable neighborhoods for Manhattanites ready to raise a family. 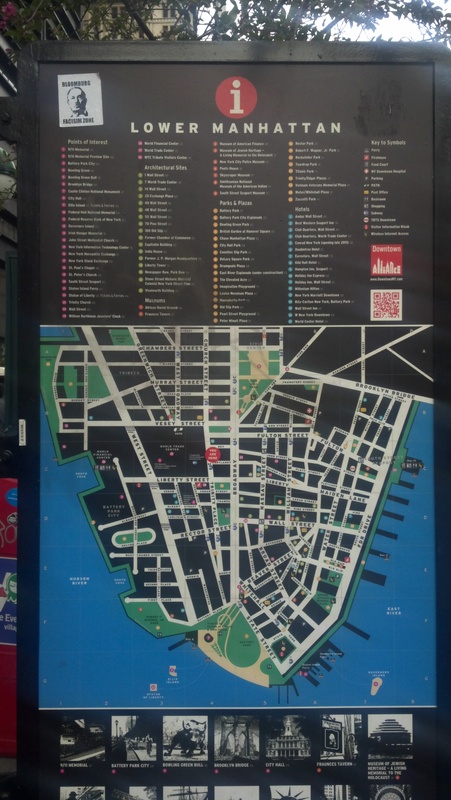 It is a Manhattan neighborhood, located on the better side of the river. Some of the homes have such a suburban feel to them. Trees are blooming here now. The Brooklyn Bridge is one of the most famous bridges in the world. 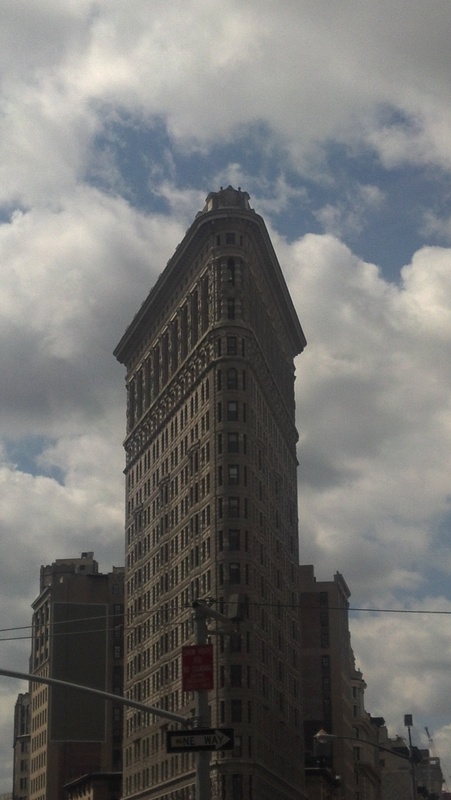 People come from all over the world to view and walk across this architectural marvel. Currently the bridge is under renovations that are slated to last the next couple of years. These shots where taken as I was driving across the Brooklyn Bridge headed to the FDR Highway. 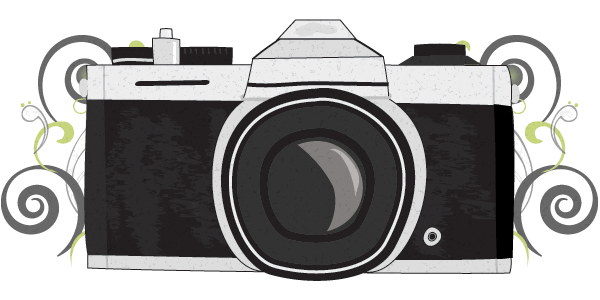 Prospect Lefferts Gardens…Where I Grew Up.